Toni Storm is the most recent addition to the list of celebrities who have had their private photos and videos stolen and released online without their consent. This is an awful trend in society and the damage it does to a person is massive. Paige spoke openly about how it changed her life as well as brought her to a breaking point. It seems like Toni Storm took it pretty hard which is understandable. We did not distribute these pictures nor do we plan to at Ringside News. What other outlets do is their prerogative, but we do not approve of such practices. Toni Storm is an amazing wrestler and at 23-years-old she already won the 2018 Mae Young Classic. She also racked up plenty of titles on the independent wrestling scene with Progress, Westside Xtreme Wrestling, Stardom, and others. At this stage in her career she is a standout on the NXT UK roster with many bright years ahead of her. We previously reported that Storm went on a blocking spree and it looks like she took it a step further. 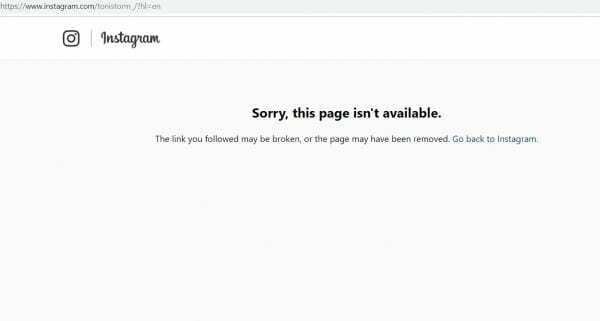 If you are trying to locate Toni Storm’s Twitter now it will be impossible because she has deleted her account entirely. She also took down her Instagram account. Not to say she can’t bring them back, but it looks like Toni Storm is taking a very serious break from social media.